I never wanted to watch The Legend of Korra. During the grand finale of Avatar: The Last Airbender I, for whatever reason, decided Zuko and Katar were meant to be together forever. When she kissed Aang I was so irrationally disappointed I wanted nothing to do with the franchise ever again. I wasn’t even that invested in the show in the first place–I only watched it to pass the time–which is why my reaction was so ridiculous. Even so, it wasn’t until the first two books (seasons) of Korra were put on Amazon Prime in late 2014 that I started watching it. My love of all things free overcame my dislike for Avatar‘s ending. Everyone loves a love triangle, right? I binge watched the first book and by the end mildly regretted having waited so long to jump on the Korra train. On the other hand, the show suffers from too many ideas and not enough time, resulting in shoddy pacing. Where Korra shines is in its characters, specifically Lin Beifong. All hail Chief Beifong. The main conflict/antagonist of book one is supposed to be the Equalists and their leader Amon. Although their methods are questionable and their leader crazy, the goal of having non-benders and benders treated the same is a lofty goal. But instead of spending time delving into how this movement sprung up and gained a foothold, let’s go pro-bending and have a teenage love triangle! 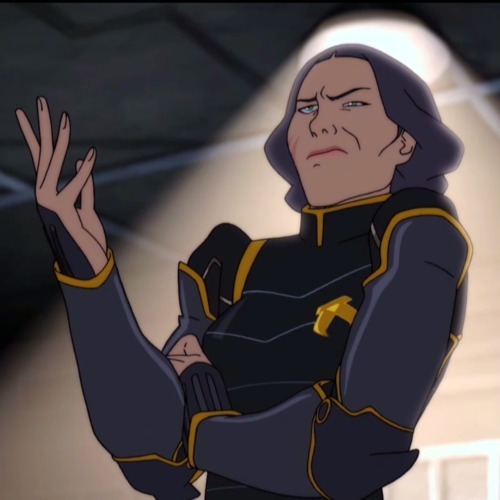 The pro-bending subplot is mostly entertaining, and does help Korra with airbending, so is therefore a bit forgivable, but the Korra-Mako-Asami love thing is so not. Pema, Tenzin’s wife, gives Korra advice based on her own experience in stealing a man. Because that’s romantic. I don’t feel up to going through a blow-by-blow of how horrible a boyfriend Mako is to Asami (he’s a horrible boyfriend, though, honestly). The relationship between Korra and Asami is more interesting because for whatever reason Asami never gets mad at Korra trying to take her man. And aside from said man stealing, Korra never really acts maliciously towards Asami. It’s all rather mature of them, which just contrasts sharply with that cluster of a relationship they share with Mako. Putting aside the stupid romance, book one was pretty good overall. The Equalists, while not explored as deeply as I would have liked, still manage to feel well rounded and capable of wreaking havoc. Amon made a great villain and was able to hark back to the evil, charismatic dictators of the previous century without becoming too much of a caricature. Book two was a mess. My first viewing of it I didn’t have much of an opinion, but when I decided to re-watch because of reasons (those reasons being Korrasami) I realized just how disjointed it was. 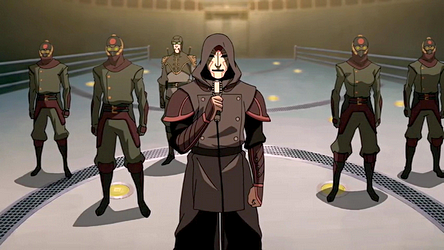 Korra is yelling at everyone and trusting her evil looking uncle Unalaq over her own father. Seriously the dude just screams Disney evil. It isn’t really a surprise when he does in fact go all power hunger and take advantage of naive Korra. But it all happens really fast, because again, the show lacks a good amount of episodes to get all this stuff in. Never trust the skinny brother. And to make matters worse, they decided it was a good idea to rekindle the love triangle. Mako manages to break up with Korra, kind-of-sort-of get back with Asami, then make out with Korra in front of Asami. Breaking our poor baby’s heart AGAIN. When Korra and Mako finally call it a quits for real at the end of the book, I was so damn happy. And yet, it’s never really explained why they were so bad for each other. I mean, yes they bickered, but Korra was yelling at everyone (except Asami. She secretly loves Asami) and a lot of that seemed to be due to stress and frustration. Basically all of Korra’s interactions felt so rushed and forced. But seeing Wan, the first Avatar, was pretty awesome. 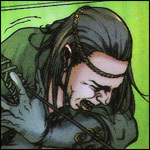 And Varrick is a cool dude, so two points for introducing him and his awesomeness. Eska’s laugh is pure creepy gold. Actually I think I just really like Eska in general. I also liked finding out Aang wasn’t the perfect dad because I’m still bitter over him blocking the Zuko love train. Basically the second season of Korra is a bit of a wash for me. When I think of what I liked most about it, it would have to be the animation. Good god do I love hand drawn animation, and Korra is drawn beautifully, no ifs ands or buts about it.